"The staff were beyond sweet and understanding, and the doctor was very gentle handed." "Dr. Saxena and her staff are AMAZING!!! They made me smile again." "The absolute best dentist ever. Do not go anywhere else. Ever." "I have extremely sensitive teeth. Finally a no pain cleaning and check up!" "Love your staff. Keep up the excellent work." As a leading dentist practicing in Leesburg, Virginia, Dr. C. Anne Saxena offers a comprehensive array of dental services in the spa-like environment of Leesburg Spa Dental. She provides general family dentistry care to preserve and protect your teeth as well as specialty treatments including dental implants, anxiety-free dentistry, and laser dentistry. Dr. Saxena is also an accomplished cosmetic dentist who creates picture-perfect smiles with veneers, crowns, and Invisalign®. A Montreal native, Dr. Saxena earned her undergraduate degree at the prestigious McGill University before completing her DMD degree at the University of Montreal Dental School. She went on to serve her general practice residency at Case Western Reserve University. Dr. Saxena has also completed extensive training in implant surgery, bone grafting, laser periodontal surgery, and full mouth reconstruction. 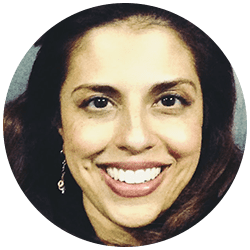 With more than 18 years of clinical experience, Dr. Saxena prides herself on providing anxiety-free dental care in a modern and comfortable setting. Her patients receive personalized attention and customized dental treatments to protect their dental health and improve their smiles. Her conservative approach focuses on saving and protecting your natural teeth whenever possible. When she’s not providing expert dental care to her patients, she volunteers with charities and health care nonprofits. Dr. Saxena also enjoys spending time outdoors and traveling with her children, both locally and abroad. She’s an artist who enjoys painting, sculpting, and modern art. For your convenience, we offer consultations for our out-of-state patients! Leesburg Spa Dentistry accepts the following major insurance providers and PPO Insurances. If you do not see your insurance provider listed, please contact our office to confirm.